In most European countries long-term housing affordability and neighbourhood revitalisation are emerging as crucial concerns in the current housing political and policy agenda. Local authorities in several European cities have started to recognise the importance of supporting and funding collaborative housing projects as a strategy to meet the unsatisfied demand of social housing accommodation and to reinforce community empowerment. In particular, the Community Land Trust model has started to draw the attention of local and national authorities, for it is capable of both ensuring housing affordability and promoting urban regeneration. As already described in a previous article, Community Land Trust is a membership-based, non-profit organisation chartered to hold and manage land in trust for the benefit of a given community. The main feature of the CLT model is the possibility to realise a split in the ownership of land and improvements. The CLT retains title to the land and permanently removes it from the market, while entering into long-term agreements with prospective low- or moderate-income residents, who become the owners of the improvements. In addition, the existence of a tripartite board of directors, which includes representatives of residents, members of the CLT community, and members of the public, ensure a democratic governance of the CLT. In the United States, CLTs have a long history. 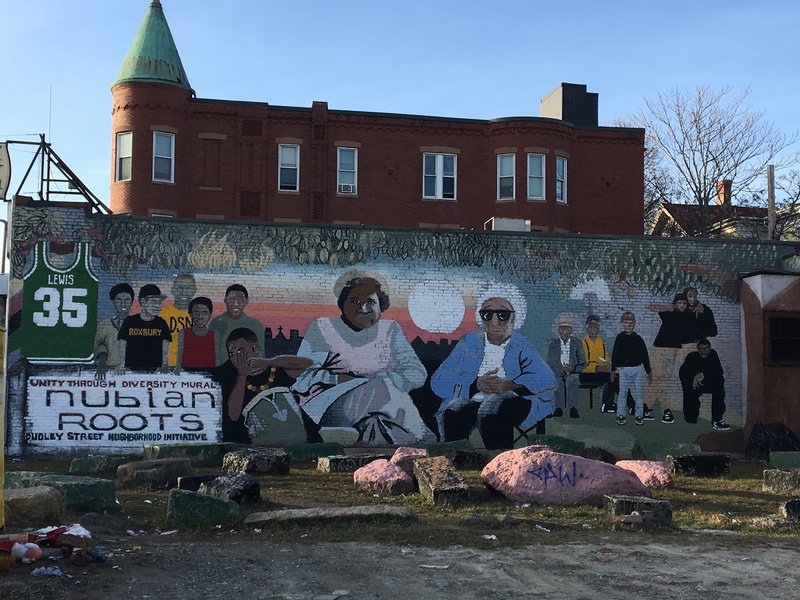 One of the oldest and most acclaimed CLT in the US, the Dudley Street Neighborhood Initiative in Boston, dates back to 1984, and hundreds of others have been built throughout the country since then. Recently, the New York City Department of Housing Preservation and Development (HPD) has issued a Request for Expressions of Interest (RFEI) to identify qualified groups who are interested in forming a CLT, thus showing an increased attention by local policymakers. In Europe, the CLT model has already gained recognition in several countries, both at a grassroots and legal level, often in collaboration with local or central governments. This is the case for England and Wales, where the Housing & Regeneration Act 2008 has legally recognised CLT and defined it as a corporate body whose main goal is to acquire and manage land for the benefit of the local community. Following the formal introduction of CLT into the English legal landscape, a National CLT Network was established in 2010 and it then became an officially registered charity in 2014. The Network “provides funding, resources, training and advice for CLTs and works with Government, local authorities, lenders and funders to establish the best conditions for CLTs to grow and flourish”. 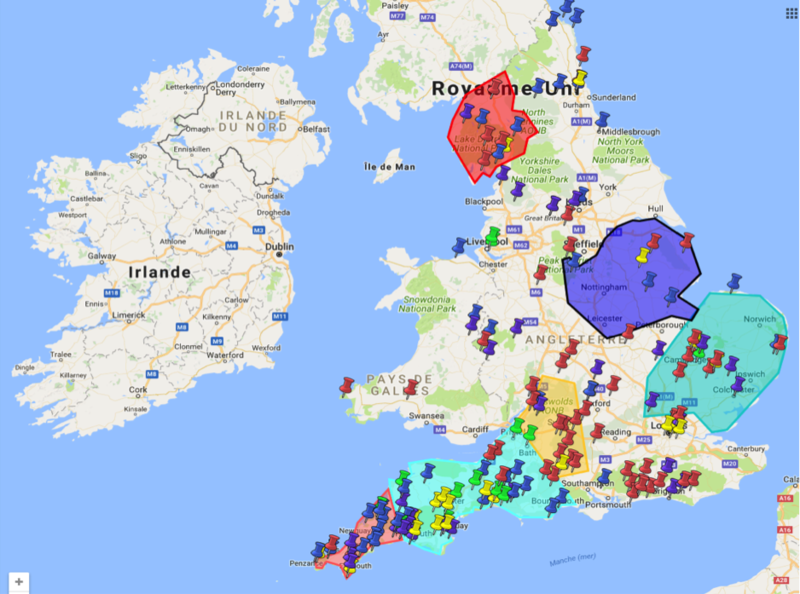 According to the National CLT Network, there are almost 70 CLTs in England and Wales, although the level of accomplishment of the projects varies substantially. Among them, the London CLT dates back to 2007 and is probably the most renowned and iconic example of CLT in England. 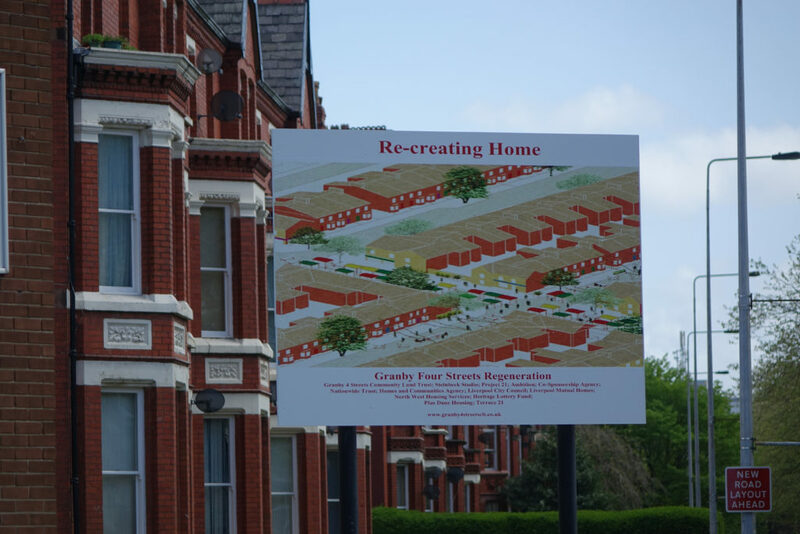 Although the implementation of the CLT model is recent, a supportive political agenda, the lobbying by the CLT network, and a property law tradition that is common to the UK and the US, have helped it to take roots and flourish throughout England and Wales. By contrast, the implementation of the CLT model in civil law countries has been less straightforward. Despite a considerable amount of support from grassroots movements, a different conception of property law and the consequent absence of proper legal structures for CLT have slowed down its process of recognition. Among civil law countries, Belgium has offered the first example of implementation of a CLT in continental Europe. The Ecluse project in Brussels, inaugurated in September 2015, is the outcome of an intense collaboration and exchange between local associations, citizens, and the Brussels government. In particular, the strong support by the Brussels government and the legal recognition of the CLT Bruxelles (CLTB) in the Brussels Housing Code in 2012 (as a non-profit association and a public utility foundation) represented the crucial stage for the implementation of the CLT model in the region. In particular, in the framework of the Alliance Habitat regional governmental plan for increasing the social housing stock, the Brussels government have allocated 2 million euros per year to CLTB for the 2014-2017 period. Actually, in addition to L’Ecluse project, CLTB has planned to complete three other projects (Arc-en-Ciel, Le Nid, and Lumière du Nord) by the end of 2018, while three more have just got started in the past few years (Rue Liedts, Transvaal, and Tivoli). Three other projects are currently under study and evaluation. In the wake of the successful implementation of CLTs in England and Brussels, the interest for the CLT model has risen in France. At the end of 2013, the association Community Land Trust France “Pour un foncier solidaire” was created to promote the principles and values of CLT, and to adapt them to the French context, while at the same time increasing awareness among groups and landowners. Since then, CLT France has regularly taken part in the working group headed by the Ministère du logement et de l’habitat, and contributed to the adoption of new legal structures to implement CLT in France. On the basis of the results of this consultation phase, the Loi ALUR 2014 introduced the Organismes de foncier solidaire (OFS) in the Code de l’urbanisme. OFS are non-profit organisms whose activity is totally or partially devoted to the acquisition and management of improved or unimproved building land, and whose main goal is to provide affordable collective housing and related services to be rented out or sold to income-qualified people. Since the main feature of the OFS, which are based on the CLT model, is a split in the ownership of land and improvements, the adoption of a new type of lease was supported by CLTF, and finally approved by an ordonnance in July 2016. The legal discipline of the bail reel solidaire (BRS), which is meant to be primarily used by the OFS, is now included in the Code de la construction et de l’habitation (CCH). Very recently, a series of decrees have provided a more detailed regulatory framework for the practical operation of OFS and BRS, so removing the remaining obstacles to the implementation of CLT in France. Following these substantial changes in the French legal landscape, CLT projects are likely to flourish in the coming years. More precisely, CLT is defined in Part 2, Chapter 1 of the Housing and Regeneration Act 2008 (c. 17). Cfr article L. 329-1, Code de l’urbanisme. Ordonnance n° 2016-985 du 20 juillet 2016, art 1er-2°. CCH, articles L. 255-1 to L. 255-19. Cfr Décret n°2016-1215 du 12 septembre 2016 and décret n°2017-1037 du 10 mai 2017. Cfr Décret n° 2017-1038 du 10 mai 2017. Nell’ultimo decennio il modello americano del Community Land Trust ha attecchito e si è diffuso in numerosi paesi europei grazie all’introduzione di nuovi strumenti giuridici, al supporto delle associazioni CLT e al finanziamento dei governi locali e centrali. In Inghilterra e in Galles, dove il CLT è stato introdotto nell’Housing and Regeneration Act 2008, si contano circa 70 progetti coordinati da un forte network nazionale. 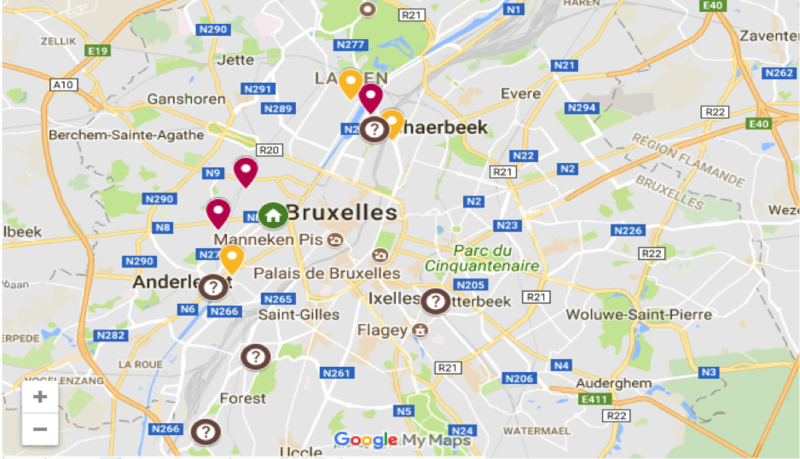 In Belgio, nella regione di Bruxelles, l’associazione CLT Bruxelles ha ottenuto cospicui finanziamenti dal governo locale e può vantare la realizzazione del primo CLT dell’Europa continentale, oltre a una decina di ulteriori progetti in fase di completamento e di studio. In Francia, grazie alle pressioni esercitate dall’associazione CLT France, una serie di importanti riforme ha recentemente introdotto nuovi strumenti giuridici, quali organismes de foncier solidaire e bail réel solidaire, che mirano a facilitare l’introduzione del modello. The CLT today works to solve land title problems in the Martin Peña Canal District, to avoid involuntary displacement of residents, to acquire and maintain properties for the community’s benefit and to facilitate residents’ involvement. It follows some precise guiding principles, such as the promotion of the residents’ participation in decision-making, the encouragement of equality, safety and access to basic services and the improvement of public spaces and transportation. The main goal remains the housing development and affordability, and for this reason the CLT cannot resell the land and it can only sell or rent housing for the members’ benefit. The CLT is an active actor in the local real estate market: the residents collectively own the land, lease the land in the trust, own the buildings and when they decide to sell the home the CLT can buy it back; in addition, in case of mortgage and problems with the loan payment, the CLT can intervene. It also supports residents with financial education and specific programs to promote citizens’ participation and critical awareness, to address and improve social justice, affordable housing, food security, violence prevention, youth leadership, adult literacy and local entrepreneurship. It should be noted that under the CLT residents are more protected from forced eviction than through individual titles and more safe from market speculation (the land is not owned by individuals, thus the value does not affect the house price). Today the communities along the Martín Peña Canal collectively own 200 acres of land that cannot be sold. This is the current state of Fideicomiso de la Tierra, but the informal settlement of San Juan has a long history of disinterest and abandonment from the government, which failed during the years in installing proper sewage systems or cleaning systems with the consequence of many floods; the area indeed was originally established on mangrove wetlands without an adequate water drainage system, and every even mild rain storms led to flooding, raising sewage and polluted waters and causing health and environmental problems for the residents; in addition buildings never stopped to discharged row sewage into the canal. For years the local communities demanded the dredging of the canal while fearing displacement and the rising land values typical of a neighborhood improvement. In 2001 the situation was so awful that the US Army Corps of Engineers intervened to dredge the canal and restore water flow. 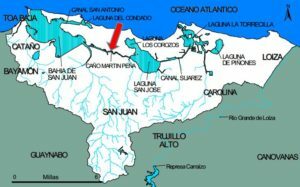 Finally, the government showed to be committed in revitalizing the canal’s conditions as well as the canal communities. An important process of connection with the communities started, and from 2002 and 2004 the government held 700 participatory meetings. These meetings represented a huge opportunity to connect residents and experts and explore the local concerns, presenting legal tools to preserve affordable housing and formalizing landholdings. Dredging the canal and revitalizing the communities meant to avoid residents’ displacement; and the creation of a collective land title, as the CLT, appeared to be the best idea to maintain alive the community. The meetings helped in collectively drawing up a formal development and land use plan, the Comprehensive Development Plan, then adopted by the Puerto Rico Planning Board. With the help of national and city government support, local residents and organizations set up a collaborative project called ENLANCE to help the implementation of the plan and to reply to some fundamental issues: to restore the environmental integrity of the channel, to protect the health and safety of community residents and to promote an inclusive, democratic city quality public spaces as well as wealth opportunities for the community. The residents created the Group of Eight Communities (G8), in partnership with the government and the private sector, to promote their economic, social, and community development throughout the establishment and maintenance of a CLT. In the same year the Law 489/2004 entered in force and created the Martin Peña Canal Special Planning District, a district of 200 acres of public land transferred by the government to the ENLANCE project. The law also established the future incorporation of the CLT. With this law, many informal housing projects were regularized. ENLANCE then became an independent government agency with limited-lifespan; it was and still is a crucial actor, a local intermediate that coordinates the project implementation in terms of housing development, infrastructures, dredging, canalization, and also in terms of urban socio-economic development guarantying the citizen participation and promoting the community empowerment. The ENLANCE’s board of directors (made by representatives from the public and the private sectors and of community residents) is appointed by the Governor of Puerto Rico and by the Mayor of San Juan; the community resident board members should be at least 45% of the board and they are indicated by the G8. With the law the property rights of any land in the District were transferred firstly to ENLANCE and regularized. Residents gained the right to inherit and maintain ownership of their home, while the title of the land was of ENLANCE, guarantying the stability of the real estate values of the lands. To transfer the land title from ENLANCE to the CLT, from 2006 and 2008, three rounds of community workshops were implemented and the CLT’s General Regulations created, with the support of an Advisory Board for the legally formalization of resident’s needs and requests. Finally, in October 2008 the General Regulations were promulgated and the land transferred to CLT by formal deed on May 2009. The Regulations stressed the important role of the CLT as a “mechanism of collective possession in order to solve the problem of the lack of ownership titles” and to “avoid involuntary displacement” of canal residents. In the following years CLT, supported by ENLANCE, made significant progress in terms of self-financing and human relocation of residents when required for the canal dredging. The goal is to become independent once relocations are completed and the work of ENLANCE completed. Today CLT makes money from selling homes, renting property, investing in the community and receiving donations. According to the Regulations, it must reinvest profits into the communities following the priorities planned in the Comprehensive Development Plan (such as using a revolving fund for infrastructure projects and buying properties) and when a resident sell the home it receives part of the proceeds. In addition, it can rely on the economic support (subsidies) from both public and private sectors and on a large group of volunteers. Today the most difficult task is the relocation of residents still living very close to the canal, since their houses should be removed to allow the proper dredge of the canal. The process is quite long and today there are 1090 households to relocate (ENLANCE has already relocated 110), but all steps are made in a participatory way and always keeping in consideration the families’ needs and supporting them throughout the entire process (evaluation of the home, identification of a right offer, assistance on finding a new home for sale, pay moving expenses….). The San Juan CLT in 2015 won a Building and Social Housing Foundation World Habitat Award, as a recognition for its ability in transforming the informal settlement of San Juan from a polluted and flood prone river channel into a sustainable community, and in providing a new model for improving informal settlement in cities. Fidecomisio de la Tierra represents the primary mechanism through which the local communities surrounding Martín Peña Canal are overcoming poverty; it has completely transformed the area and enabled the local community to legalize the relationship between more than 2,000 families and the land on which they stay, to access to affordable and safe housing, to resettle in a fair way people living close to the canal in risk areas, to improve environmental conditions by developing basic infrastructures and dredging the canal, to ensure ownership, to learn how to collective manage the area and how to favor the community participation. 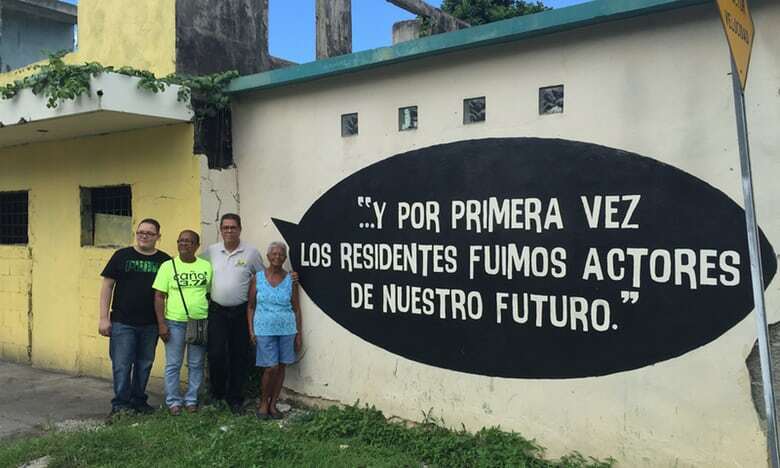 Fidecomisio de la Tierra is a unique model of social justice in Puerto Rico; it has already proven to be successful in the US where over 247 CLT promote the revitalization of marginalized communities and the development without displacement, and today it is considered a model of self-improvement and sustainability, as well as a model of local participation and collective action, also for other informal communities around the world struggling with development and gentrification. The news was reported by RioOnWatch, a program to bring visibility to Informal Settlements’ community voices born in 2010. The G8’s board is composed by representatives of 12 communities organizations annually chosen in community assemblies. The District refers to an area composed by the seven communities that lived along the canal and wanted the creation of the CLT. The ENLACE Project is driven by the Caño Martín Peña ENLACE Corporation, the G8 Inc., and the Caño Martín Peña Community Land Trust, as well as a large G8 group of partners that includes universities, foundations, and private and public organizations. A San Juan, Porto Rico, il primo caso di Community Land Trust all’interno di una favela. Creato in modo partecipativo coinvolgendo i residenti e con il supporto pubblico, Fidecomiso de la Terra è nato con lo scopo di preservare e sviluppare le comunità informali (circa 30 mila persone) lungo il canale di Martín Peña. Il CLT di San Juan nel 2015 ha vinto il premio Building and Social Housing Foundation World Habitat come riconoscimento per aver trasformato l’insediamento informale da canale fluviale inquinato e perennemente inondato in una comunità sostenibile. Oggi è considerato un modello di giustizia sociale e partecipazione locale per altre comunità informali che nel mondo lottano per lo sviluppo e contro la gentrificazione. We have already presented the Community Land Trust’s model (CLT), as a membership-based, non-profit organization chartered to hold and manage land in trust for the benefit of a given community, underling how the three elements, land, trust and community, are at the core of the model itself. The main goal is to provide long-term model affordable housing to low-income families using a resale-restricted model and to promote community control over development, while revitalizing neighborhoods (Dwyer, 2015). The land is held in trust by the CLT for the benefit of the community in different ways that ensure that homes remain affordable for future buyers over time. A low income individual or family looking for a house becomes member of the CLT, buys a house in the CLT and leases the land on which the house from the CLT lies. The CLT is always in contact with its member (Gray and Galande, 2011), also after the sale, and in case the residents default on the mortgage it can intervene to prevent foreclosure. Its democratic governance structure reflects the idea that the CLT operates within a community, whose members are part of the decision processes. 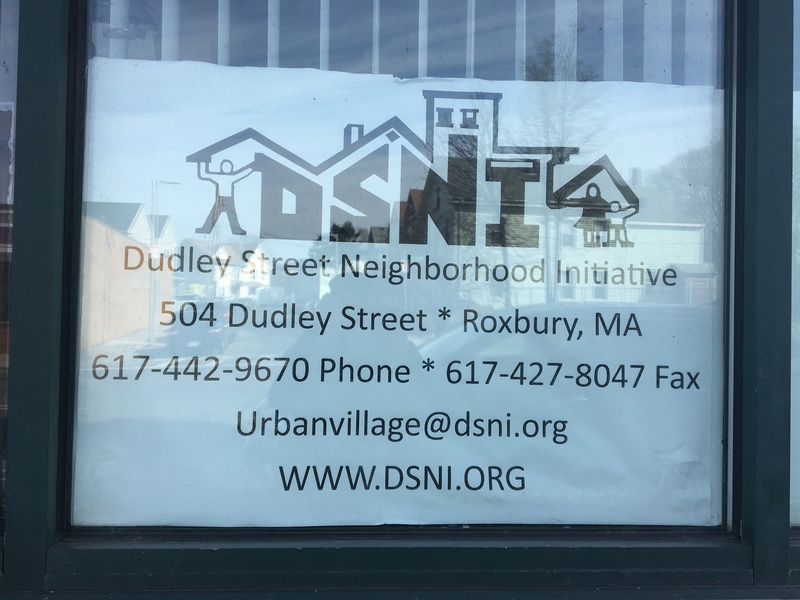 In Boston, in the Roxbury and North Dorchester area, there is one of the oldest and most acclaimed urban CLT in the US, the DSNI, Dudley Street Neighborhood Initiative. Its history dates back to 1984, when some brave residents, with crucial support from a few local funders and community leaders, decided to revive their neighborhood, which was devastated by arson, trash and disinvestment. Boston has always been one of the most expensive cities in the US, with the highest income inequality, partially linked to the lack of affordable housing, and in recent years housing prices have not been decreasing (Bluestone et al. 2015); so much so that, even today, the demand for affordable housing far exceeds the city’s supply and recent data reveal that the real estate market is getting even more expansive. As a result, strong processes of gentrification and displacement invested the city, increasing housing costs for low and moderate income families (who have always been the heart of Boston’s neighborhoods) (Cho, Li and Salzman, 2016). According to the Federal Reserve Bank of Cleveland, Boston has one of the highest rates of gentrifying census tracts (Hartley, 2013). Those who used to be affordable neighborhoods went through a gentrification process, becoming inaccessible. The Dudley Street area was not excluded from these trends and the neighborhood was full of vacant lots and boarded-up buildings, abandoned cars and dumping. The risk was that all these properties could be sold by the city or their private owners and the area, could be cleaned up and converted into high-price condo, hotels, offices and luxury homes serving downtown Boston. This would have pushed out the numerous lower-income residents of the Dudley neighborhood (that is historically a black and latino area). Each board member could (and still can today) vote about every decision taken for the benefit of the community, none can change the rules or decide in behalf of the community. The focus is always on maintaining culture and building community spirit through new opportunities, housing, and youth involvement, making local residents always the primary beneficiaries. Today the board is composed by 34 members (the number can vary at each election), community-wide elections are held every 2 years and the DSNI holds an Annual Meeting. The structure is so organized: 16 residents from the whole area, and then members of non-profit agencies representing the Health and Human Service fields from the core area, members of the Community Development Corporations from the core area, small businesses representatives from the core area, religious organizations from the core area, youths (15-18) from the core area, non-profit organizations from the secondary area and residents appointed by the newly elected board. To note: John Barros, the longest-serving executive director, involved in the DSNI since the age of 14, is now the City of Boston’s Chief of Economic Development. Another aspect worth underlining is the importance given to youth, an investment that can bring enormous long-term benefit. Furthermore, the DSNI partners also with universities (the Tufts University is the more involved, the Department of Urban and Environmental Policy and Planning is carrying out a specific project with the neighborhood, CoRe, Co-Research/Co-Education Partnerships). The support of other local entities, at the beginning especially of Community Development Corporations (CDCs) also concerned about both community-building and affordable house (such as Nuestra Comunidad CDC, Dorchester Bay Economic Development Corporation, Madison Park Development Corporation), was crucial. Organizations like the Project Hope also partnered with DSNI and contributed to housing stability in the area, and of great importance was the support of foundations, like the Riley Foundation and the Ford Foundation. The stable affordability of houses is made possible because the land trust owns the land and leases it to the homeowners who just owns the housing structure, but not the land; if they want to move away, the land, property of the CLT, is reassigned to other families (usually through a lottery, in order to avoid discretionary choices). It is important to underline that DSNI is the only community organization in the US to have obtained the city’s power of Eminent Domain, that allows it to manage 64-acre core area (Dudley Triangle) to redevelop it. This allows them to own the land and makes it possible to realize the vision of a development without displacement. The 1987 comprehensive masterplan in 1996 was updated adding important refinements and renewing the commitment of creating an “urban village”. 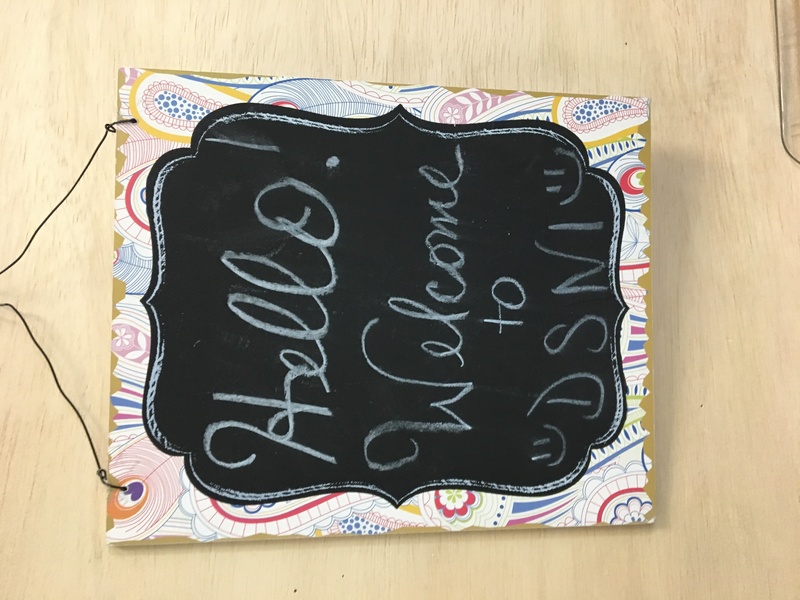 Today inside the DSNI there are many different groups, communities and institutes working to achieve the community’s goals. The most famous is the Dudley Neighborhood Inc. (DNI), a CLT created in 1988 by DSNI to implement and develop DSNI’s masterplan. Then there are the Resident Development Institute (RDI), the DSNI Sustainable and Economic Development Committee, the FCC – Fairmont Cultural Corridor, the Dudley Real Food Hub, the Dudley Youth Council (DYC), the Greater Boston Community Land Trust Network, the Community Development Children (Dudley Children Thrive – DCT), the College Bound and the Boston Parent Organizing Network, as well as initiatives like the No Child Go Homeless Campaign, the Dudley Workforce Collaborative, the GOTCHA (Get off the Corner Hanging Around) Youth Jobs Collaborative, the Neighborhood Safety and Beautification, and the most famous, the Multicultural Festival that has held every year to celebrate the vibrancy of the community within the Dorchester and Roxbury neighborhoods. In 30 years the DSNI transformed vacant lots into bike paths, community centers, playgrounds, community gardens fountains, art programs, a town commons, youth programs, parent meeting, college opportunities, a food project, a school: a real and thriving community. There are more than 3,600 members, and over 400 new homes; each program and communication is held in English, Spanish and creole and the projects managed by the CLT are many and touch different topic, from jobs to academic education help, from youth development to children activities to parents training and support, from food, gardening and urban agriculture, to affordable housing, local facilities and community building. In addition, in the last years the Boston Promise Initiative (BPI) was implemented. It is a strategy designed to create a community of opportunity – centered around strong schools, families, and resident leadership – that allows every child to learn, grow, and succeed. The goal is to transform the Roxbury and North Dorchester neighborhoods into the Dudley Village Campus (DVC), “a learning environment where children are wrapped in high-quality and coordinated health, social, educational, and community supports from cradle-to-college-to-career”. 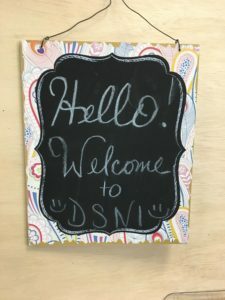 The DSNI’s mission, as one can read on the website, is to empower Dudley Street residents to organize, plan, create and control a vibrant, diverse and high quality neighborhood, in collaboration with community partners. And what the DSNI did in the last 30 years shows that the goal was not out of sight. Of course there are still problems to face, but the success of this model is demonstrated by the decision of the Mayor Walsh to include the land trusts as the first of six goals for Boston neighborhood development, as presented in the planning report “Housing a Changing City: Boston 2030”, that specifically lauds the DSNI model. As explained in the report, through the neighborhood development program Boston will “Mitigate impacts of gentrification through targeted home buying programs, strategic acquisitions, community land trusts, tenant assistance, and expanded outreach to seniors” (2014) (Dwyer, 2011). Bluestone, B. et al. (2015). The Greater Boston Housing Report Card 2014-2015. Dukakis Center for Urban and Regional Policy Northeastern University, 2015. Available ate the address: http://www.northeastern.edu/dukakiscenter/wpcontent/uploads/2015/03/Housing_Report_2014-15.pdf. Gray, K.A. and Galande, M. (2011) Keeping ‘Community’ in a Community Land Trust. Social Work Research 35, no. 4 (December 2011): 241–48. Hartley, D. (2013). Gentrification and Financial Health. Federal Reserve Bank of Cleveland. Available at the address: http://www.clevelandfed.org/research/trends/2013/1113/01regeco.cfm. Of the neighborhoods 24,000 residents, 40% are African-Americans, 30% Latin Americans mostly from Puerto Rico and the Dominican Republic, 24% Cape Verdeans, from islands off the coast of West Africa, and 6% Whites mostly elderly Irish and Italians who have lived in the neighborhood since the 1950s. 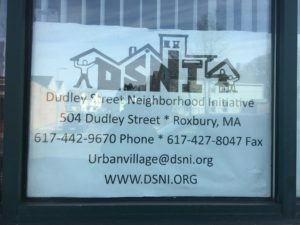 A Boston, nell’area compresa tra i quartieri di Roxbury e North Dorchester si trova il DSNI – Dudley Street Neighborhood Initiative, uno dei più vecchi e acclamati CLT d’America. Il community land trust (CLT) è una sorta di trust fondiario che mira a garantire alla comunità circostante la disponibilità a lungo termine di alloggi a prezzi accessibili. Nel triangolo intorno a Dudley Street, a partire dal 1984, si è sviluppata una coraggiosa comunità che si è battuta per evitare l’innescarsi di processi di gentrificazione e trasferimento della popolazione locale, a basso reddito, e si è mobilitata per consentire a tutti di avere accesso ad un’abitazione a prezzi contenuti, ripulendo l’area, creando un CLT, e avviando processi di community building incredibili. Oggi, oltre 60 acri sono di proprietà del DSNI, unica organizzazione americana ad aver ottenuto l’eminent domain, la terra è di proprietà del CLT e le case sono date invece ai membri dell’iniziativa a prezzi accessibili. Ma ancor più rilevante è stata la capacità dei residenti di creare in 30 anni una comunità attiva, capace di organizzare, pianificare, creare e controllare un quartiere vibrante ed eterogeneo, in collaborazione coi tanti partner locali, avviando progetti per il sostegno dei giovani e delle famiglie locali. During the last decade, Community Land Trust has been welcomed in many European countries by grassroots movements and policy makers alike as a valuable response to the increasing difficulties that a large portion of the population encountered to get access to decent and affordable housing. When trying to enter the housing market, people often face two obstacles. First, expensive private rent and even more high-priced individual private ownership have become out of reach for those who lack the financial power to afford it; secondly, the supply and quality of social housing has proven unable to meet the demand of a growing number of low-income people who seek access to it. In spite of the lack of a long-term stable framework for the affordable housing sector in Europe, a whole range of piece-meal solutions aimed at increasing the supply of affordable housing have been put in place through both public policy interventions at a State and regional level, and the activism of not-for-profit housing cooperatives, housing associations, and self-organized groups of people. Especially concerned with the long-term affordability of housing for low- or moderate-income people, Community Land Trust has gained ascendancy among those solutions that are capable of responding to the pitfalls of the housing market and has consequently known an unprecedented spread throughout Europe during the last decade. Community Land Trust (also known by its acronym CLT) is a land ownership scheme capable of fostering housing long-term affordability while at the same time allowing the broad participation of the community involved. Community Land Trust arrived on the scene in the United States in the late 1960s as an outgrowth of the Southern Civil Rights Movement and was originally used as a mechanism for African-American farmers to gain access to agricultural land. Since then, CLT has steadily grown in importance across the United States, so far as it has been employed in urban and rural areas as a means to provide an alternative to low- and moderate- income people for affordable housing and neighborhood revitalization. According to the National Community Land Trust Network (NCLTN), which represents the major association for CLTs in the United States, there were in 2011 “a total of 246 CLTs in the network with coverage in 45 states and probably about 6,000 homes in the land trusts’ hands across the country”.  Community Land Trust is a membership-based, non-profit organization chartered to hold and manage land in trust for the benefit of a given community. These three main elements – land, trust and community – are the core of the CLT model. As to the first element, land is held in trust by the CLT for the benefit of the community. Actually, the CLT acquires land through purchase or donation with an intention to retain title in perpetuity and to remove the land from the speculative market. While permanently retaining title to the land, the CLT enters into long-term agreements with prospective low- or moderate-income residents, which are thus given ownership of buildings and improvements on the land. The result is a split between the ownership of land and improvements. As to the element of trust, stewardship or “trusteeship” of the land for the long term is ensured by the CLT in different ways. Firstly, the ground lease set out a range of mutually agreed restrictions between the CLT and residents, such as resale-price, buyer-eligibility, occupancy, and use restrictions, which ensure that homes remain affordable for future buyers over time. Secondly, the CLT does not disappear once homes are eventually sold by leaseholders; on the contrary, CLT may retain an option to repurchase the buildings located on the land when residents wish to sell them and, in the event a resident defaults on her mortgage, the CLT may have a right to step in to prevent foreclosure. As to the third element – community – the democratic governance structure of the CLT reflects the idea that CLT operates within a given community (a single neighborhood or an entire city) and that all members of the community should have a degree of control over the way the land is managed. First of all, membership of the CLT is open to anyone living within the boundaries of the community and not only to residents, each group having the responsibility of electing one third of the governing body. Moreover, the board of trustees – normally called Board of Directors – is tripartite and includes representatives of (i) residents of the trust-owned land, (ii) members of the community who do not lease land from the CLT, and (iii) other people who are meant to represent the public interest, such as public officials and non-profit organizations and funders. (iii) any other category of persons described in the bylaws of the organization”. 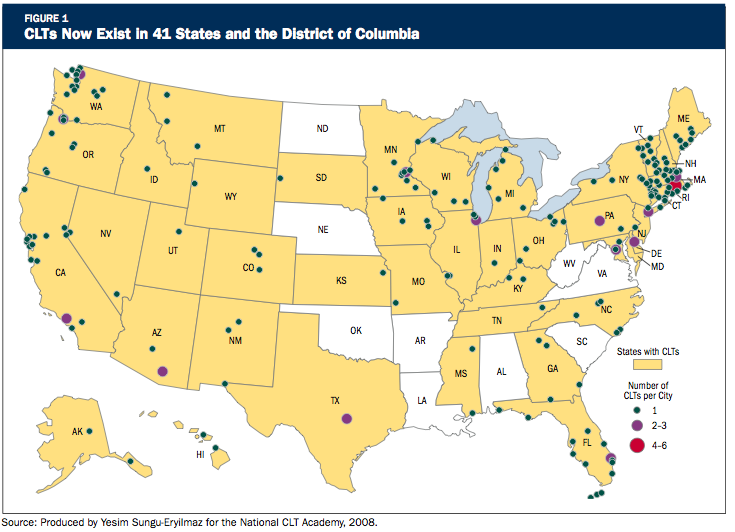 Since then, CLTs have steadily spread throughout the United States. The expansion of the CLT movement has been pushed by different factors. First, non-profit organizations have committed themselves to help groups to identify and reclaim vacant land and turning it into a community resource, as is the case for 596 Acres. Secondly, CLT has been increasingly welcomed by local administrations as a valuable response to the shortfalls of the public housing market. An example of this is the Request for Expressions of Interest (RFEI) recently issued by the New York City Department of Housing Preservation and Development (HPD), whose objective is to identify qualified groups who are interested in forming a CLT. The formal recognition of CLT by legislation, the growth of a national CLT network, along with the increased attention of public authorities, have also favored the diffusion of the CLT model outside the United States. Along these lines, both groups and local authorities in several European countries have attempted to adapt the CLT model to national contexts and promote its use, being attracted by its ability to preserve long-term housing affordability while triggering neighborhood revitalization, both of which are much-needed in large European urban centers. Brussels, available for download at http://www.housingeurope.eu/resource-468/the-state-of-housing-in-the-eu-2015 (last accessed on December 26th, 2016). This is one of the key findings of « The State of Housing in the EU 2015 ». A summary of the report is available for download at http://www.housingeurope.eu/resource-468/the-state-of-housing-in-the-eu-2015 (last accessed on December 27th, 2016). Its first advocates described CLT as “a social mechanism which has as its purpose the resolution of the fundamental questions of allocation, continuity and exchange”: The Community Land Trust. A guide to a New Model of Land Tenure in America, International Independence Institute, Center for Community Economic Development, 1972 (reprint 2007). In the book, the basic structure of CLT is also carefully explained. J. E. Davis, Origins and Evolution of the Community Land Trust in the United States, in J. E. Davis (ed. ), The Community Land Trust Reader, The Lincoln Institute of Land Policy, Cambridge, Massachusetts, 2010, p. 3-47. According to Abramovitz, the reasons for the increased emphasis on affordability in the US are to be linked to “the massive number of low- and moderate-income rental units built under various subsidy programs in the late 1960s and early 1970s that have been in danger of being lost as affordable housing through mortgage prepayment. […] In addition, the rapid housing price inflation experienced in many parts of the country during the 1980s further strained the ability of the private housing market to sustain an adequate supply of affordable units”: D. M. Abramowitz, Community Land Trusts and Ground Leases, in 1 J. Affordable Hous. & Cmty. Dev. L. 5 1991-1992, p. 5. See S. Soifer, “Community Land Trust”, in The Encyclopedia of Housing, 2012, p. 2. “A Community Land Trust takes land off the speculative market and places it in a regional, membership-based, non-profit corporation”: The Community Land Trust Handbook, Institute for Community Economics, 1983. J. E. Davis, Origins and Evolution of the Community Land Trust in the United States, cit., p. 18-19. For details concerning the functioning of CLT, see the CLT Technical Manual, available at http://cltnetwork.org/2011-clt-technical-manual/. See Housing and Community Development Act of 1992. Nell’ultimo decennio il modello del Community Land Trust (CLT), sviluppatosi negli Stati Uniti, ha iniziato a diffondersi in Europa grazie all’impegno della società civile e di diverse amministrazioni e policy makers. I CLT offrono una valida risposta alle crescenti difficoltà che una un’ampia porzione della popolazione incontra nell’individuare soluzioni abitative vivibili ed economicamente accessibili.